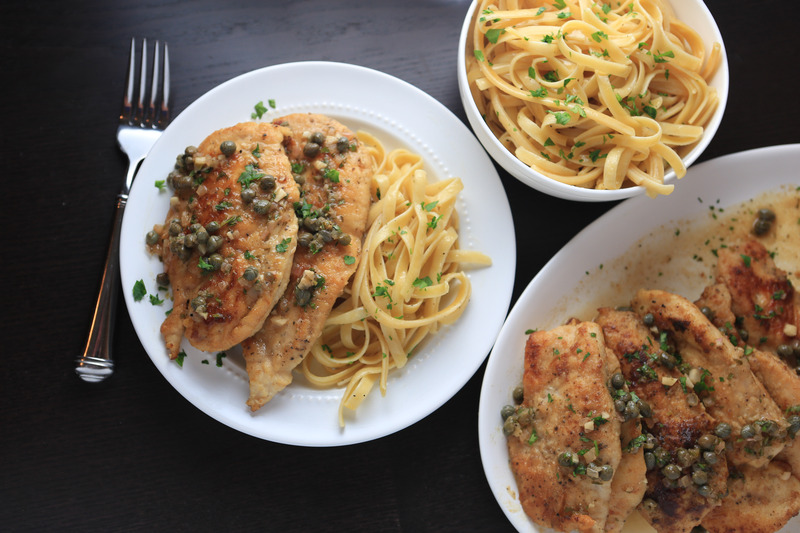 Lightly sautéed chicken breasts, in a lemon-butter sauce with capers and parsley. Served over a lovely side of perfectly cooked pasta. Chicken piccata used to be a dish that I overlooked, and clearly did not appreciate enough. Who knew that boring chicken breasts could be transformed into something so wonderful? I just made this recipe for Andrew and I on one of the coldest nights that Michigan has seen in a LONG time! I loved creating this restaurant-quality, date-night dinner for us on a Monday night. And speaking of Andrew, we have a little news for you. We’re expecting another baby in June!!! Yep, baby #3 is on the way! We have been so excited ever since we found out in late September, and now we are equally excited that we get to share our news with you! 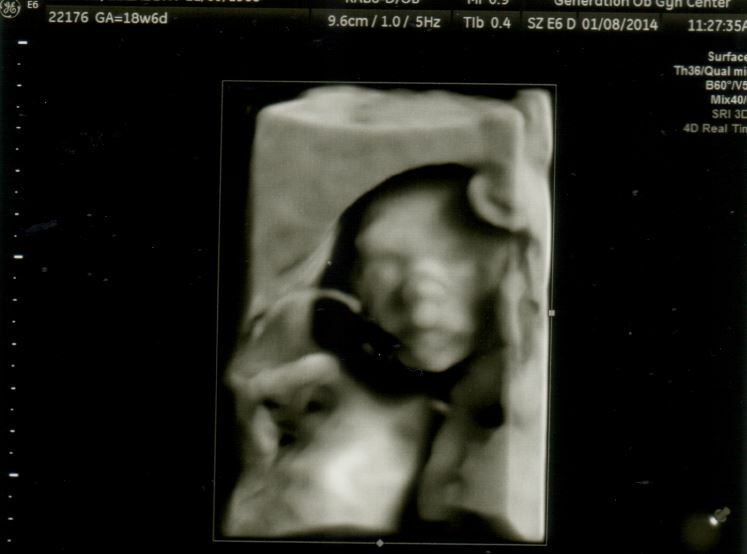 We just went to the doctor today for our big ultrasound. They checked the baby and everything looks great so far! 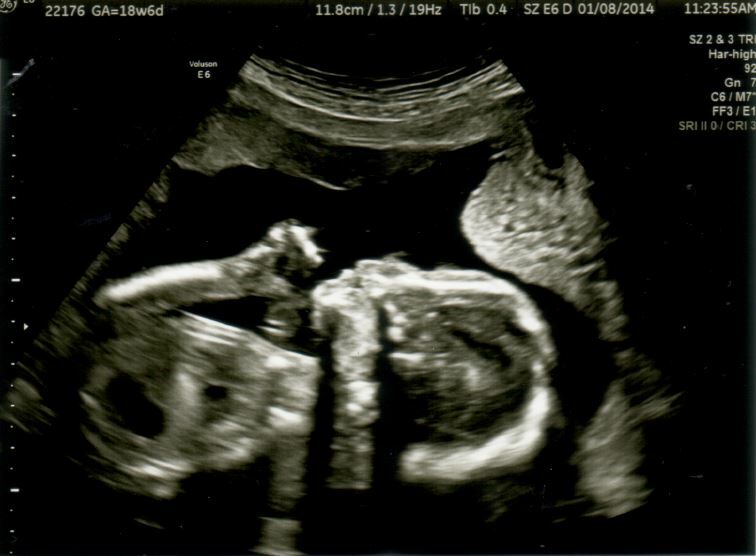 We even found out the baby’s gender. That will make THREE boys for our little family! We couldn’t be happier! Lay chicken breasts flat on cutting board, and slice in half to create thin cutlets. Pat dry with paper towel and season both sides with salt and pepper. Spread the flour in a shallow dish. Then dredge cutlets in flour to coat, shaking off any excess. In a large non-stick skillet, heat 2 tablespoons of the oil until shimmering. Add four of the cutlets and cook for about 5-7 minutes, until golden brown and cooked through. Transfer to a plate and lightly cover with foil. Repeat with the remaining oil and cutlets. Using the same skillet, and the brown bits and oil that remain, add the garlic and shallot to the pan and cook over medium heat until softened, about 2 minutes, stirring frequently. Stir in the broth and sherry and simmer for about 8 minutes, until broth has thickened a bit. 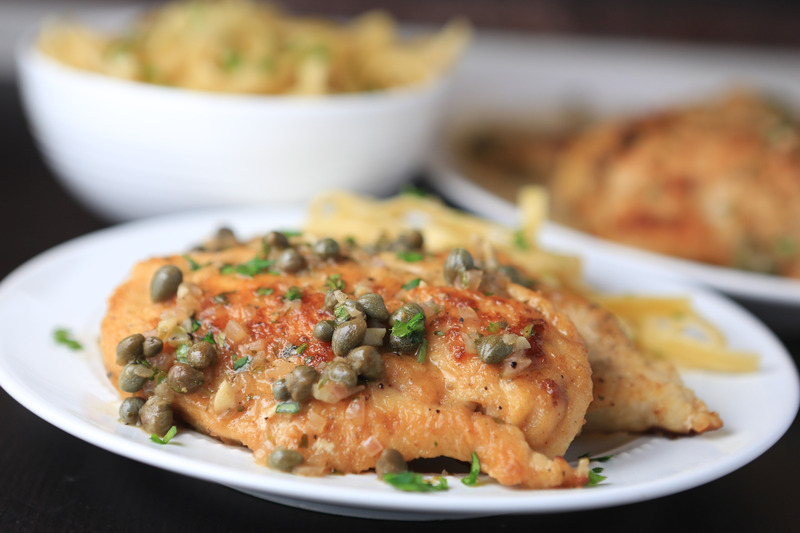 Stir in the lemon juice, capers, and any chicken juice from the plate. Turning the heat to low, whisk in the butter, one third at a time. Remove pan from heat and stir in the parsley and season with salt and pepper to taste. When ready to serve, spoon the sauce over the chicken. Serve with pasta, especially fettuccine or thin spaghetti. That sounds yummy, Elizabeth! I am going to put that on my “to try” list. Oh and a big Congratulations on your new bundle. I know Grandma is thrilled! How exciting!!! You can now join the ranks of “the proud mothers of 3 boys!” They fight, they may even bite but they don’t whine!!! Esther and Phillip are having a boy too so that makes 3 grandsons too! Lucas and Colin are so awesome I can’t wait to meet Baby B3 and then yours in June. Elizabeth, I think you’ve found your calling and I’m so happy for you! Love to you and the boys! Thanks, Marcia! I guess we’ll have to get all the little guys together at some point. Congrats on your new Grandson on the way! I am in the midst of making this and realize I don’t have sherry. I seem to never have it when a recipe calls for it. I’m going to sub in white wine, but in your experience, does the sherry make a difference? Hey Lindsay! I guess it’s a little late, but white wine would be a fine substitute if you don’t have sherry. You’ll have to let me know how it turned out!